On May 22nd, Wednesday, Campagnolo celebrated its 80th anniversary with an event hosted at the headquarters of Vicenza, with atendance of Alfredo Martini, Vittorio Adorni, Jan Janssen, Eddy Merckx, Francesco Moser, Greg Lemond, Miguel Indurain, Alex Zanardi and Fabrizio Macchi. Stage 21, the last stage of Giro d’Italia 2013 edition is a flat course between Riese Pio X and Brescia. The length of the course is 199 kilometers. Stage 20 of Giro d’Italia 2013 edition is a High Mountain stage with summit finish, between Silandro and Tre Cime di Lavaredo. It is also the queen stage of the 96th edition of the event. The length of the course is 202 kilometers. 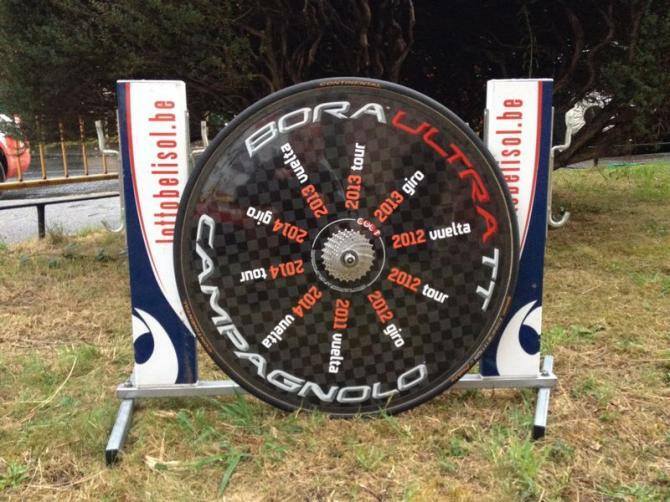 Stage 18 of Giro d’Italia 2013 edition is an Individual Time Trial stage with summit finish, between Mori and Polsa. The length of the almost completely uphill course is 20.6 kilometers. Stage 17 of Giro d’Italia 2013 edition is a flat stage between Caravaggio and Vicenza. The length of the course is 217 kilometers. Stage 16 of Giro d’Italia 2013 edition is a Medium Mountain stage between Valloire and Ivrea, starting in France and finishing in Italy. The length of the course is 238 kilometers.